You can appreciate Quartney Davis giving it everything he has to score with the game on the line but ball security had to be paramount if unranked Texas A&M was going to beat the No. 2 team in the nation. 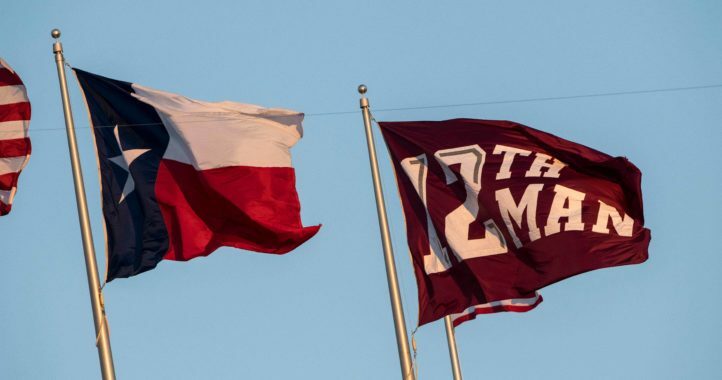 With the game still in doubt, the Aggies were down 20 to 28 and driving in the red zone when a turnover killed the next to last drive of the game. Davis learned that hard lesson late in the fourth quarter as the sophomore receiver let the football slip out of his hands as he was approaching the goal line. The ball squirted out and through the end zone. At least, that was the call on the field. It did appear the ball may have gone out of bounds before reaching the end zone. The play was reviewed and the call on the field was upheld, making the play a touchback and giving Clemson the ball on the 20-yard line. The Tigers are currently attempting to run out the clock following the play. If you missed the play, you can check it out below. Do you think the right call was made? 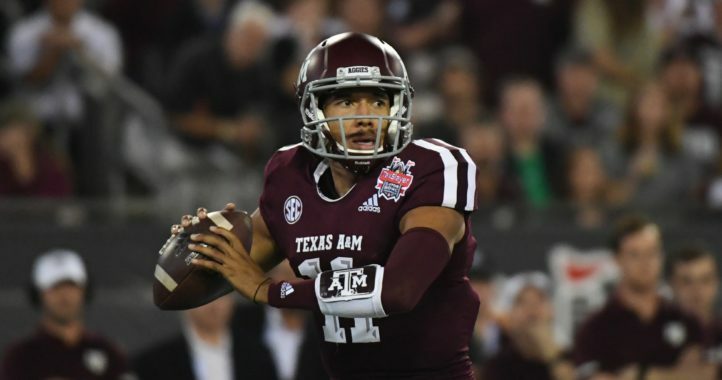 Texas A&M would end up getting the ball back and scoring to draw within two points but failed to convert the two-point conversion. Clemson recovered the onside kick to end the game on the ensuring drive. omg, how did the replay folks miss that????? No doubt in my mind the refs screwed A&M. They can’t review that call properly when called a touchback. Shoulda been called out at the 1 or 2 then review it for a touchback. I’m so sorry A&M, dang y’all were robbed! I was looking for a camera angle that shows the ball going to the left of the pylon. Didn’t see it. Every angle shows it going to the left. If it went to the right, you would have seen so on the pylon camera. Only with rose colored glasses. The overhead I saw seems to show it going to the left. The others were inconclusive. 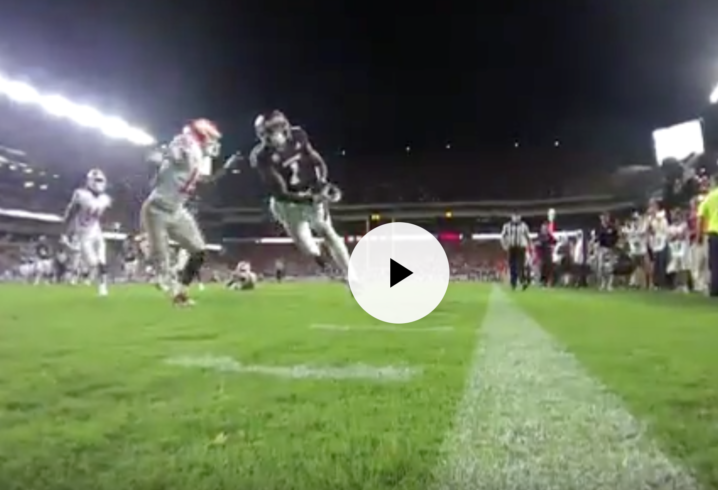 A&M got a very raw deal on this blown, and very reviewed call. I don’t know what y’all are Seeing. To me it looks like the ball went out through the end zone. The pylon cam shows that. Clemson will get all this love all year to get creamed in the CFP by whoever they play. shouldn’t fumble be the default call and touchback be the unusual, need really good evidence call. shouldn’t the preference be to keep the team in possession in possession? on a close call shouldn’t “a tie go to the offense”? if it has to be reviewed, shouldn’t the review be to overturn “fumble” rather than to overturn “touchback”? unless you have an agenda– a preferred result. What? The ruling on the field was that the bell went through the end zone. They need indisputable evidence that the call on the field was wrong in order to overturn it. A tie favors the call on the field. That’s how replay works. If the pylon were three feet tall, the ball would have touched it… so, touchback.